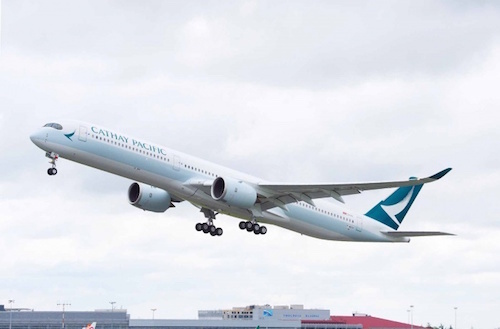 The airline took delivery of the aircraft at a special event in Toulouse, France. 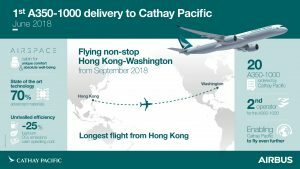 The aircraft is the first of 20 A350-1000s ordered by Cathay Pacific and will join the carrier’s growing fleet of A350 XWB aircraft, which already includes 22 A350-900s. Both aircraft are complementary and provide for maximum commonality with improved operating efficiencies.